Adventureland is one of the most iconic places to visit on Long Island. Located in Farmingdale, the amusement park opened in 1962. The original four rides were the carousel, the train, Little Dipper Coaster and boats. 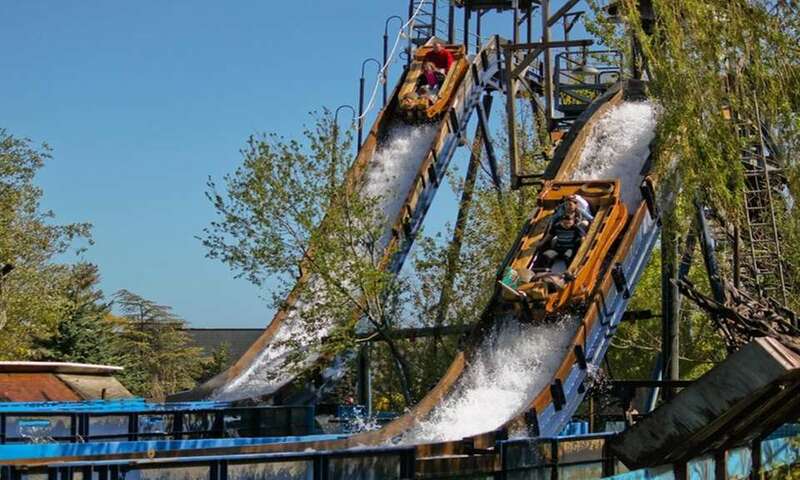 Today, Adventureland features more than 30 rides and attractions, including The Ghost House, Lady Bug Roller Coaster, Adventure Falls Log Flume, the Wave Swings and more. 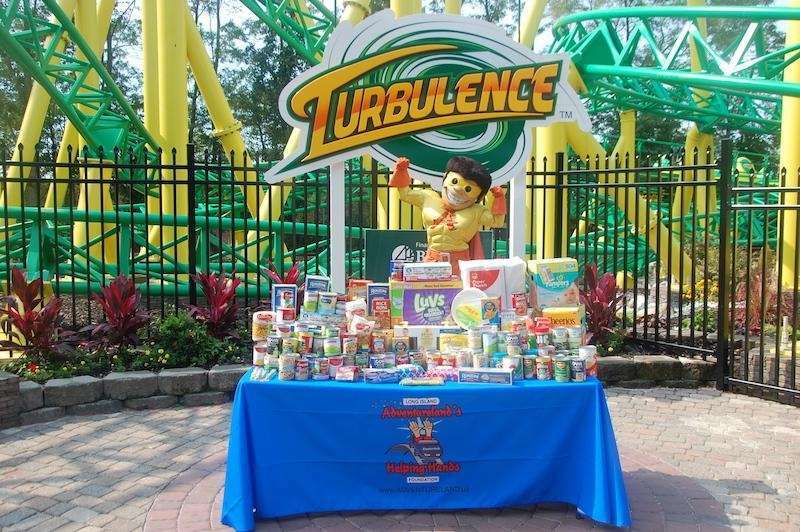 In spring 2015, Adventureland debuted Turbulence, the first spinning roller coaster in the tristate area. 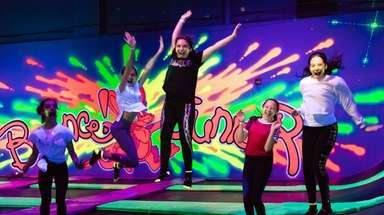 You may have enjoyed every ride in the park season after season, but how much do you really know about Long Island's most famous amusement park? Here we found 18 fun facts about Adventureland. 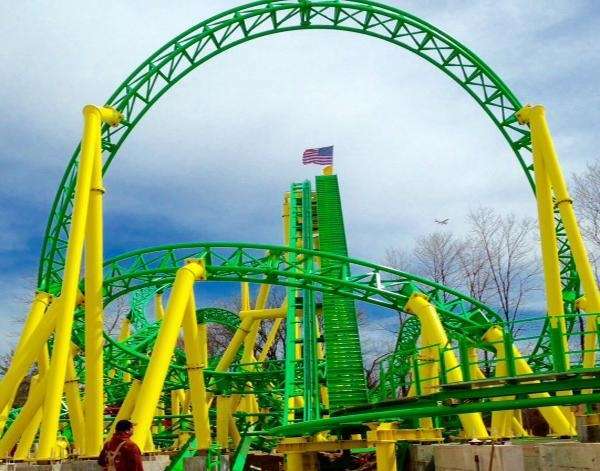 In a recent Adventureland Instagram poll, Turbulence, which debuted in 2015 as the first and only spinning coaster in the tristate area, was the top-rated ride. Turbulence is the tallest, fastest and most family-friendly coaster the park has seen, according to Adventureland. The Adventure Falls Long Flume opened in 2001, replacing the Treasure Island mini golf course that debuted in 1988. The course was awarded Best Miniature Golf Course by Long Island Magazine, and was closed in 2000 to make way for the log flume. 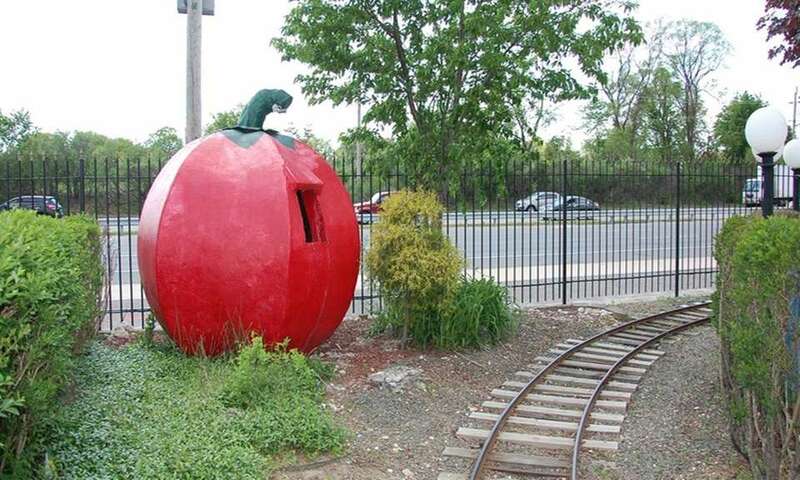 The "tomato" that can be seen on the train ride is actually a pumpkin. It is an original park decoration from 1962. You can ride the Lady Bug Coaster and Turbulence for free on August 16 when you donate school supplies to the Helping Hands Foundation. The donations will benefit local schools in need. 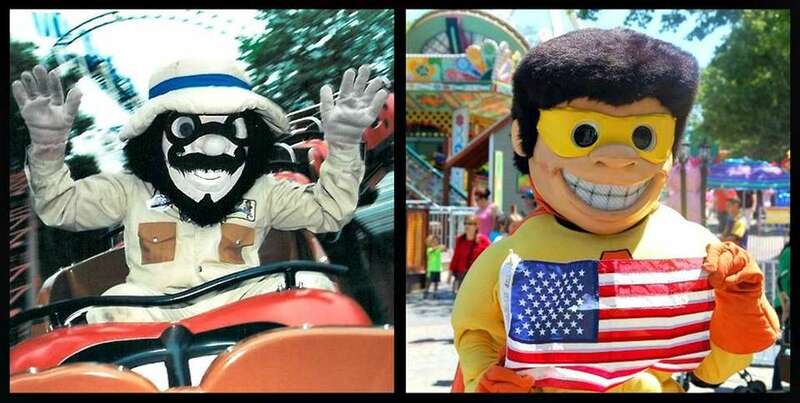 Albert Adventureland, left, was the original mascot for the amusement park since the 1980s. 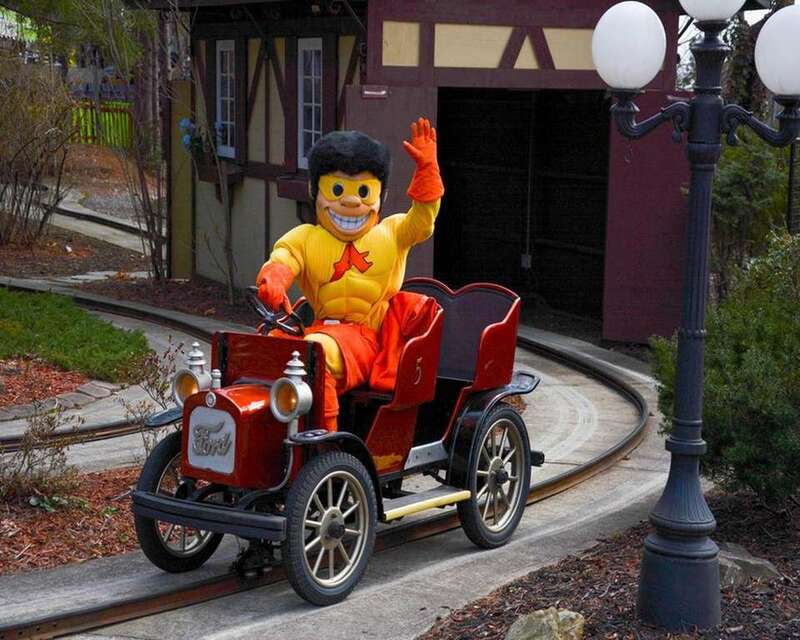 The current mascot, Alfie Adventureland, right, joined the team for the park's 50th anniversary celebration in 2012. You can leave your family's legacy by purchasing a brick that will be placed in front of Turbulence, Adventureland's top ride. Proceeds will be donated to Adventureland's Helping Hands Foundation. 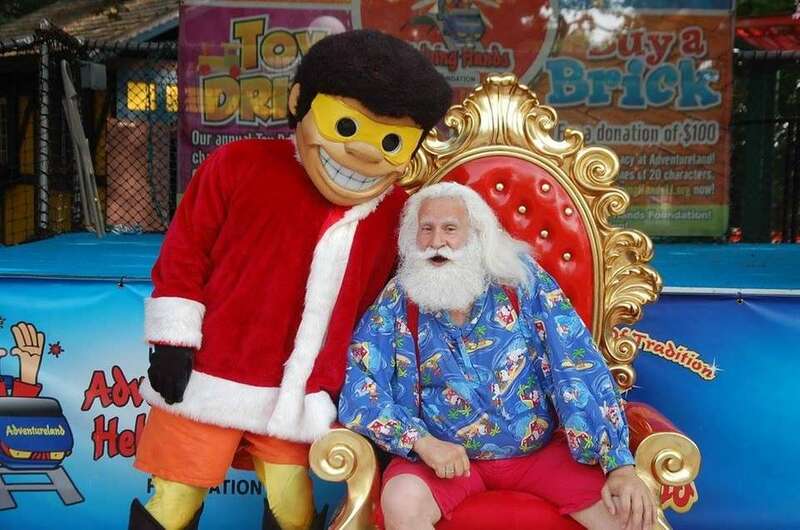 Adventureland's Helping Hands Foundation holds Santa Saturdays to promote its annual toy drive for the children of the Ronald McDonald House of Long Island and Stony Brook Children's Hospital. While Santa will be in the park from 5 PM to 7 PM every Saturday of July, toy donations are welcome every day throughout the month. About 80 percent of Adventureland features LED lights and 20 percent feature low wattage bulbs. The park installed more than half a million LED bulbs and 488 solar panels since 2006. Since going green, Adventureland has produced enough energy to run a refrigerator for 103 years. What's wrong with a little fun after dark at Adventureland? 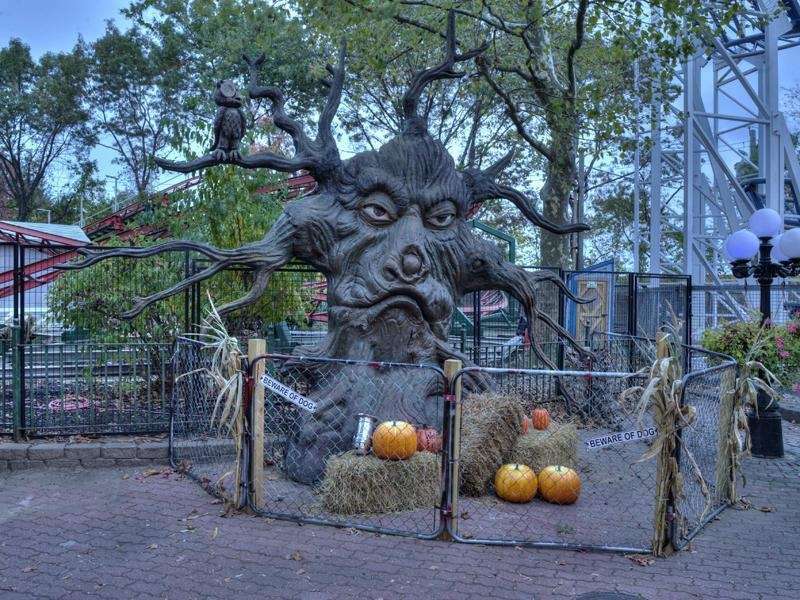 The iconic talking tree and owl added to the original Haunted House in the late 1980s were both restored in 2013 and are now located across from the current Ghost House. Do you remember the warning they gave to guests brave enough to enter 1313 Cemetery Way? In 2007, scenes from the romantic comedy "Music and Lyrics" were filmed at Adventureland. Drew Barrymore and Hugh Grant starred in the movie. In 2009, Kristen Stewart and Jesse Eisenberg, pictured, starred in the movie "Adventureland," which was directed by Greg Mottola and released by Miramax. 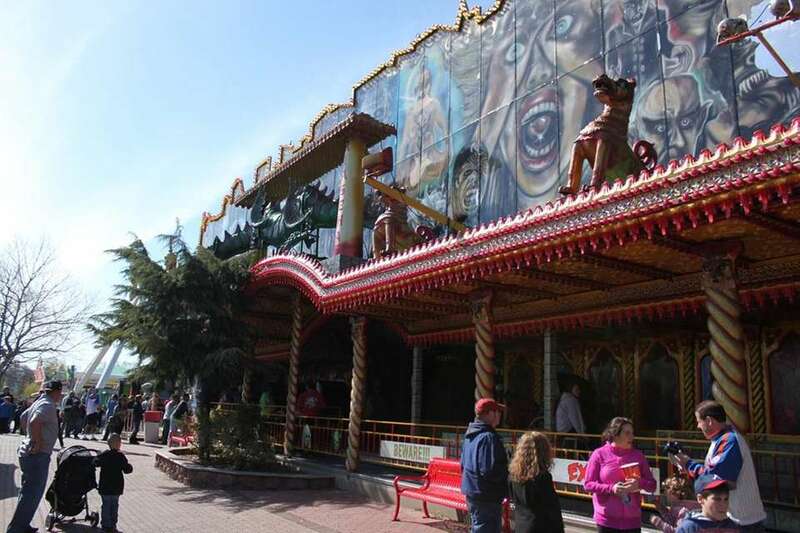 Although the movie was shot in Pittsburgh, it's based on the director's experiences of working at Adventureland. Since 2009, Adventureland has donated more than $100,000 to the Islander's Children's Foundation through their annual Islander's Children's Day Meet and Greet hosted at the park every October. The original Ghost House was imported to Adventureland from Germany for the 2010 season. The haunted ride got a complete makeover in 2018, with a new, two-story Mystery Mansion ride, replacing the old house. 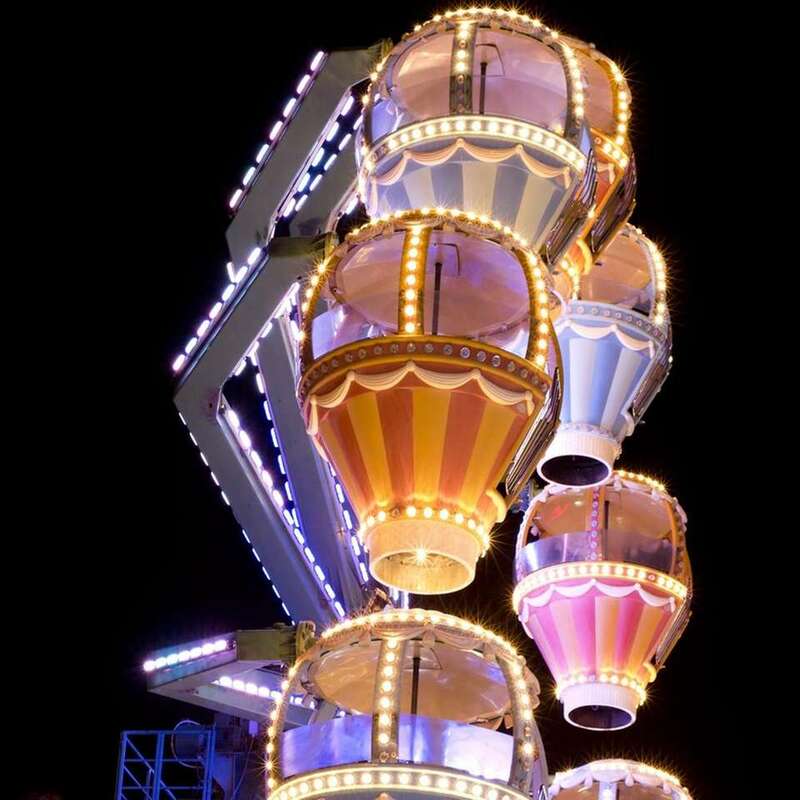 Riders will sit in floorless, ski-lift-style seats suspended in the air, elevated throughout the 2-minute-long ride. 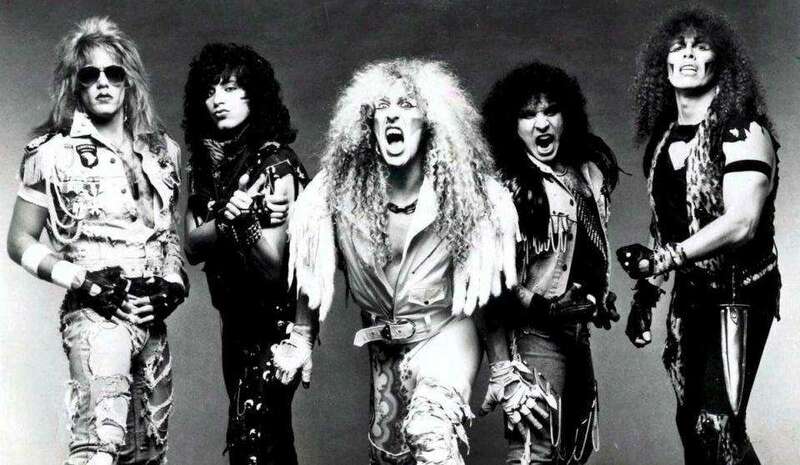 In the late 1970s-80s, Twisted Sister performed at Adventureland. The concert was so large, Route 110 was shut down for the show. 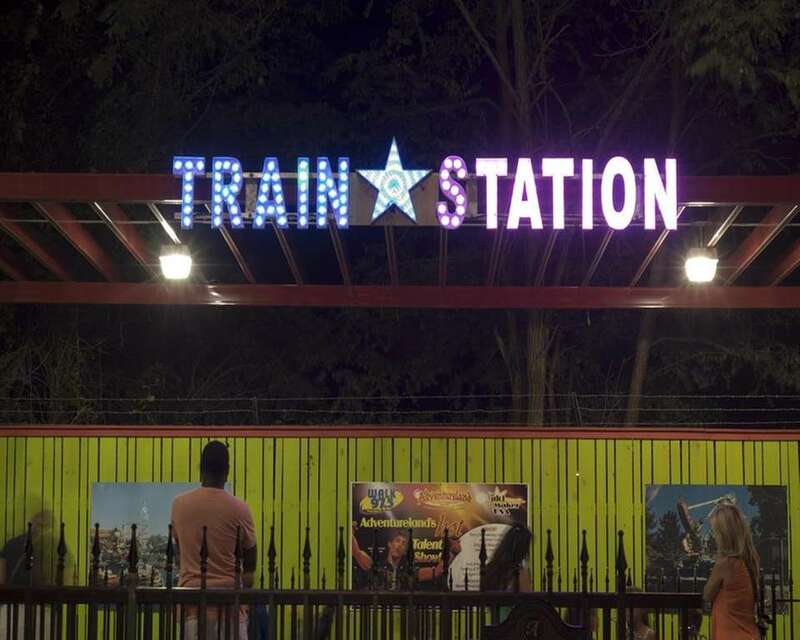 Throughout the park's 53-year history, the Train Station has been relocated four times. It's currently located in the middle of the park, across from the Music Express. The property that would later be home to Adventureland was originally a six-acre broccoli, escarole and chicken farm. It was purchased by Alvin Cohen in 1960. The original Antique Cars were replaced by gas-powered Arrow Dynamics models that debuted in the 1964-1965 New York World's Fair. These cars were then replaced in 1995 by electric Antique Cars. Adventureland featured fireworks shows until the late 1970s. Guests enjoyed the fireworks so much that the shows had to be discontinued for safety reasons because the crowds grew so large, Route 110 had to be closed. 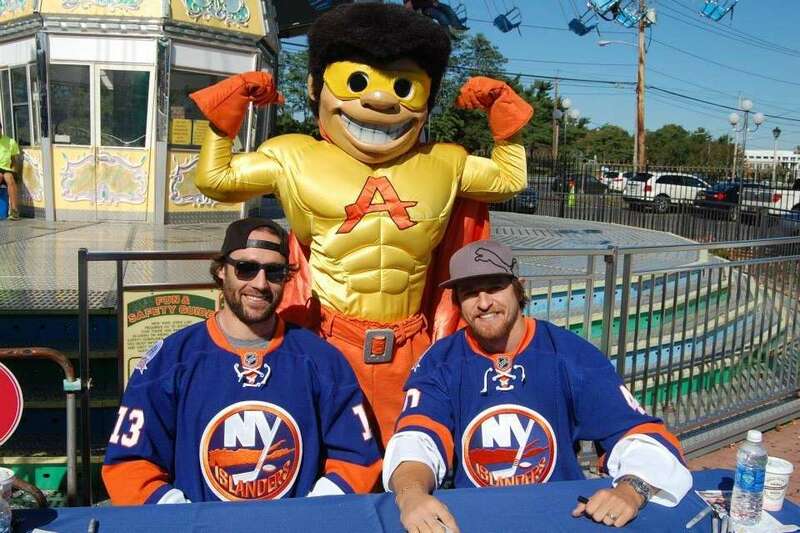 In 2014, Adventureland launched the Helping Hands Foundation, which aims to help support the Long Island community through increasing awareness about local issues, supporting local initiatives and providing educational resources for community residents. 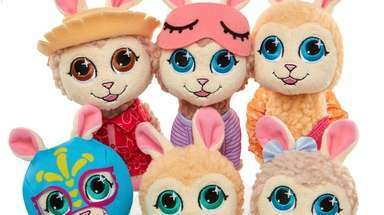 The foundation's annual toy drive occurs throughout July, its school supply drive is in August and its food drive is run throughout the fall. 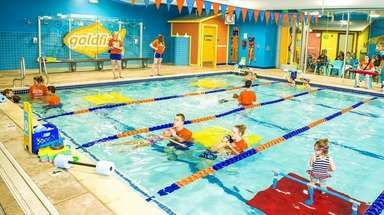 11 things you didn't know about Splish SplashSplish Splash opened in Calverton in May 1991, featuring only a handful of water rides. 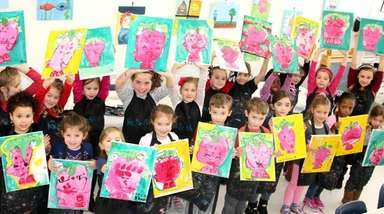 100 things every LI family should do in 2017There are plenty of fun things to do on Long Island! Here, 100 can't-miss experiences to do with your kids before they grow up. 24 places where kids eat free on LILove dining out with your family but hate paying for half-eaten plates of food?